Note: “Grace” is an original, old-school, CrossFit workout. Prescribed weight for men is 135lb. and women 95lb. With the combination of good nutrition, good mindset, and good training, and the amount of time spent on the USAW skills, we anticipate some amazing scores on todays workout. An incredible Rx’d score on today’s session is 5:00 or less. This one is for the record book and top scores will go on the leaderboard. Fastest overall Rx’d time of the day will receive a free session at Santa Cruz Cryotherapy! 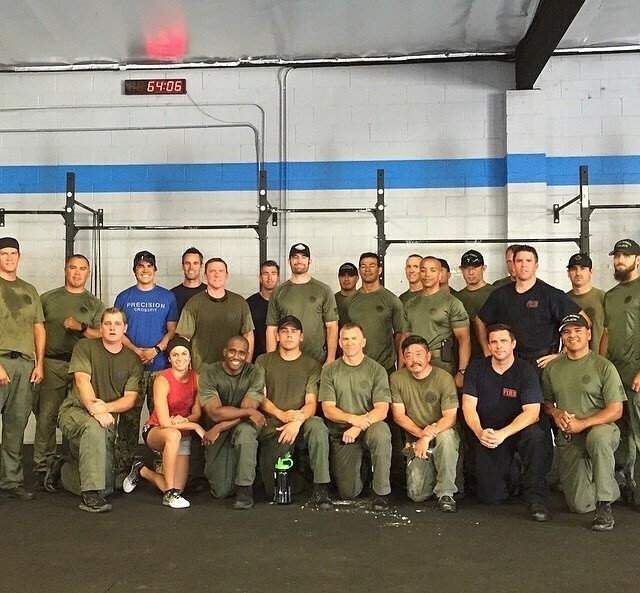 Santa Monica SWAT Team – “Murph” Challenge Winners! Congratulations to Santa Monica Police Department SWAT Team on winning the 2015 “Murph” SWAT Challenge. SMPD SWAT had the addition of CrossFit Games Director Dave Castro, and CrossFit Games Announcer Rory McKernan on their team, as well as the fastest individual time by SMPD Operator Scott McGee, of 31:58. Second place was St.Lucie County, Florida, who had Greg Amundson (Greg’s time was 29:15!) and third place was California Highway Patrol East LA Division. Stay posted for the CrossFit Journal video on this awesome Nation-wide event. Today’s EWOD will be a ocean swim and run at Capitola Main Beach.